Jenny Lewis On World Cafe : World Cafe When listening to Lewis' latest, On the Line, a detail that made you laugh the first time might make you tearful the next. 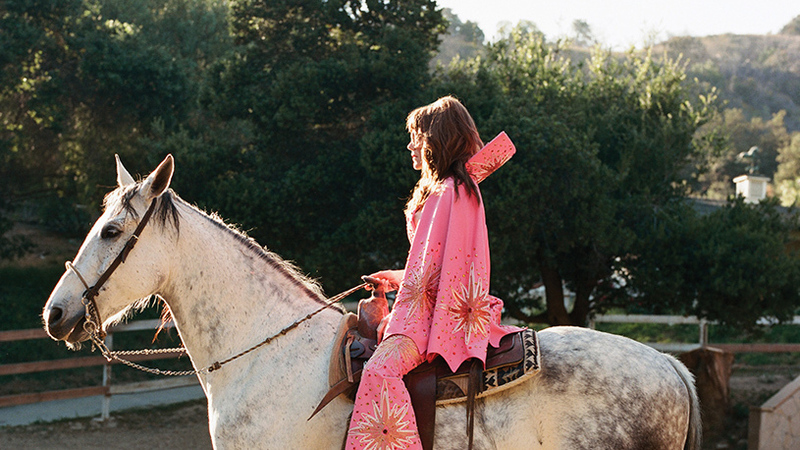 Jenny Lewis' new album On the Line is an amazing feat of songwriting. She paints vivid and memorable pictures, from guardian angels with stethoscopes to a narcoleptic poet, Paxil to poppies. The rewards grow bigger with every listen, and a detail that made you laugh the first time might make you tearful the next. Her hooks are surprising and unforgettable, her vocals are warm and it's all absolutely epic without being overdone. Lewis began writing these songs after a significant breakup with her longtime partner. And she continued working on them through the death of her mother, whose struggles with addiction made their relationship complicated. She calls the song "Little White Dove," written about her time with her mother in the hospital, a "beautiful, funky way to grieve." Here, Jenny Lewis shares the stories of how Ringo Starr ended up playing on a couple of songs for On the Line, working with producers Beck and Ryan Adams and responding to questions about Adams since allegations of the artist harassing other women became public. Plus, she performs powerful live renditions of some of her new songs. Hear it all in the player above.